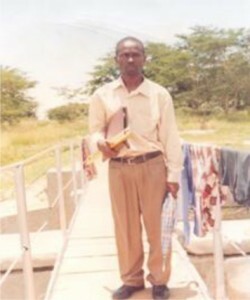 Moses Muzeya, Director and Pastor. For the past 21 years, the work of the Three Angels Child Education Mission in Zambia primarily consisted of literature distribution. The truth-filled literature was donated by brethren in the United States and has been distributed in the North-Western province. Some of these were translated into local languages and shared, not only in our province, but all the way into the neighboring country of Angola. For a long time it appeared that the work would not be fruitful. The outlook was discouraging on its own, but it was made worse by the local Seventh-day Adventist church. They threatened to rescind my membership if I continued my work. I continued and lost my membership. During this same time, school children were contacting me and pleading for me to help them in any way I could. My finances were so inadequate that I began to send away these pleading students, without providing them with any kind of assistance. This decision pricked my conscience, and I had no peace during this time. I needed to figure out a better way to deal with the issue, so I did some research to identify the problem and find a solution. 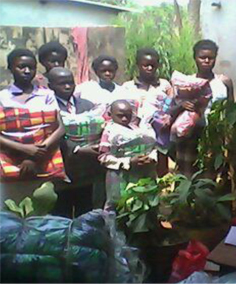 Orphans provided with school supplies and blankets. During this research phase, I found out what was happening to these young people, and I was very shocked to find out what they are going through in this modern age. Can you imagine that within an area of a mere 90 kilometers there are nearly 1,000 orphans leading miserable lives? A good number of these are struggling to fulfill their dreams, hoping that education can give them a future, despite their lack of support. I vowed to find a better method of fighting for the welfare of these young sufferers, some of whom live near my own doorstep, and resolved to present them Jesus as their best Friend and Helper. I pleaded with God for wisdom to implement the simple ministry He was laying upon my heart. This decision marked the beginning of my desire to minister to these young people. I did not have any financial or material resources, so I thought that associating the ministry with some non-governmental organization would be the only way to move forward. It was not easy to find an organization that was willing to help, but after a long period of consultation, we found one. However, they promised to unite with our ministry only on the condition that we distribute condoms. We objected, and they withheld their funding. There is so much truth in this passage: “Too often the worker for Christ fails to realize his personal responsibility. He is in danger of shifting his burden upon organizations, instead of relying upon Him who is the source of all strength. It is a great mistake to trust in human wisdom or numbers in the work of God. Successful work for Christ depends not so much on numbers or talent as upon pureness of purpose, the true simplicity of earnest, dependent faith. … The means in our possession may not seem to be sufficient for the work; but if we will move forward in faith, believing in the all-sufficient power of God, abundant resources will open before us. If the work be of God, He Himself will provide the means for its accomplishment. He will reward honest, simple reliance upon Him. The little that is wisely and economically used in the service of the Lord of heaven will increase in the very act of imparting. … If we go to the Source of all strength, with our hands of faith outstretched to receive, we shall be sustained in our work, even under the most forbidding circumstances, and shall be enabled to give to others the bread of life.” Desire of Ages, 370, 371. After funding was denied, some friends were able to help in a meager way, and a few pathetic cases were addressed. I was able to distribute a few blankets, food and school supplies to some of the students in nearby schools. 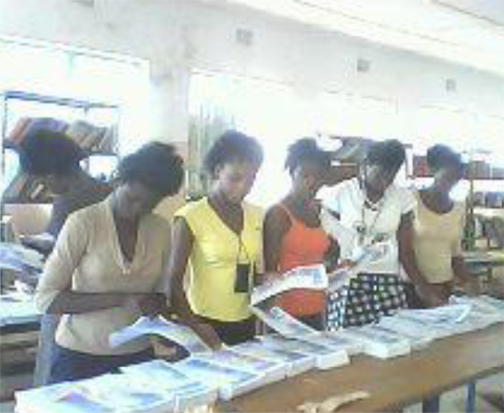 Kabompo high school students preparing Bible study guides for distribution to other students. I had a very simple routine for the process of providing help to the youth. Typically starting with prayer, I gave them short messages of encouragement to point hearts to Christ, the One who had provided the help that was now in their hands. Next, I paid special attention to cases that needed a one-on-one encounter. Little did I know that this was the beginning of a simple but effective method for bringing the three angels’ messages to government high school students in the North-Western province of Zambia. The path seems to be open for the message to reach many. Most of the young people who study with us often pass their joy and appreciation to others. This has led the hearts of many parents to open up to the gospel as they witness the changes in their children’s characters. 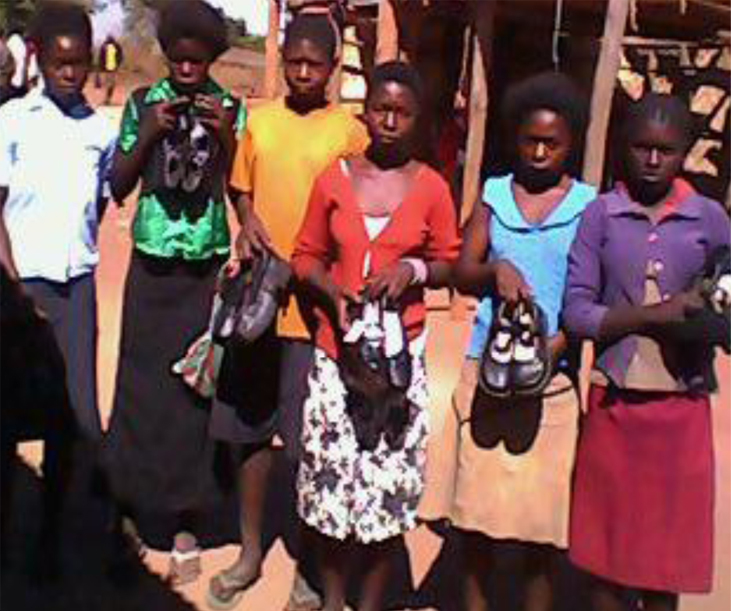 Requests for help continue to come from school authorities in the entire North-Western region, as well as other areas in Zambia. Their main desire is that we help the students find Christ in order to deliver them from satanic attacks, illnesses and the moral degradation which affects even their academic performance in class. Every time we respond to these calls, the experience is always the same. God is in charge of the work and many supernatural manifestations have accompanied the simple presentation of Christ. We have seen deaf people hear again and visually impaired people see again. Those practicing witchcraft destroyed their implements and surrendered their lives to Christ. Above all, we have seen a great interest aroused in the Word of God. There are 791 young people studying the Discover Bible Study Guides. Preaching appointments, in addition to requests for Bible studies, are very frequent. A work of this magnitude is not without its challenges. While the results testify of God’s providence, the many obstacles we face are disheartening. The Seventh-day Adventist church continues to maintain an unfounded fear that our work will lead to the establishment of another church and drain their own of both human and material resources. I finally concluded that worshiping with the students in schools and in village homes is far better under the present circumstances..